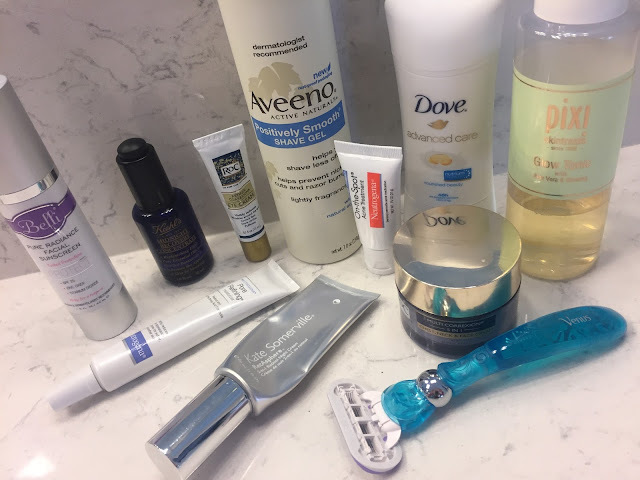 Pammy Blogs Beauty: The Beauty Spotlight Team: My Most Repurchased Skincare Products! The Beauty Spotlight Team: My Most Repurchased Skincare Products! I am so excited about my opportunity to talk about my Most Repurchased Skinare Products for this Beauty Spotlight Team special feature! Every two weeks, a Beauty Spotlight Team member is writing a post that features their most repurchased products. As I started thinking and pre-planning for my post, I realized that my most repurchased product were, hands-down, skincare items. Hmm...so, why is it that I seem to repurchase skincare items more than other product categories? Well, first of all, I think that I am extremely loyal to skincare items that I love. If something works for my sensitive and somewhat tempermental skin then it is obviously a keeper and something I do not want to be without! So, I believe I am very consistant and loyal with my skincare products. I mean, sure, I love to try new things. After all, I am a beauty blogger with a skincare focus! However, I always come back to my beloved favorites and repurchase them over and over again. I even often have back ups waiting in the wings for when my items run out. Before diving into my Most Repurchased Skincare items, let me give you the low-down on my skin. I am in my early 40s and I have combination skin. So, anti-aging products are certainly must haves! I am lucky in that I only have very minor signs of aging: just some fine lines around my eyes and on my forehead that are honestly only apparent when my skin is a bit dehydrated. However, I am seriously interested in age prevention! Also, my skin is somewhat sensitive. So, I am looking for effective products that do not cause any sensitivity reactions. In addition, I am somewhat prone to breakouts in my t-zone area. So, are you curious? What does a skincare-loving Beauty Blogger repurchase over and over? Click "read more" below to find out! My legs are so sensitive! I get ingrown hairs. So, my Dermatologist recommended that I shave daily to prevent ingrown hairs. This shave gel is so gentle and so soothing! I love the thick and rich foam. 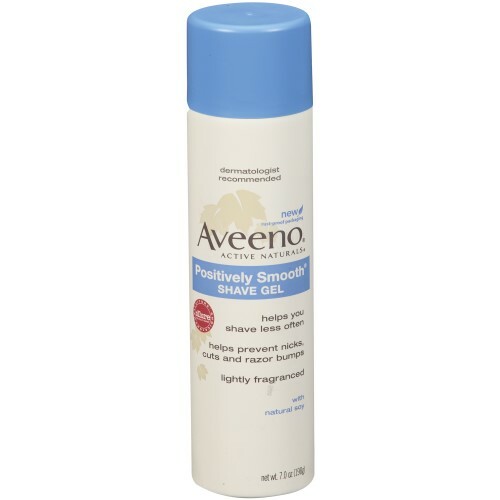 Plus, the Aveeno Active Natural ingredients help you to "shave less often"...granted, I still shave every day. However, I feel that these ingredients might be helping to thin out the regrowth. Hey, every little bit helps! I have used this shave gel for a million years and have repurchased over and over. I adore Dove's deodorant! 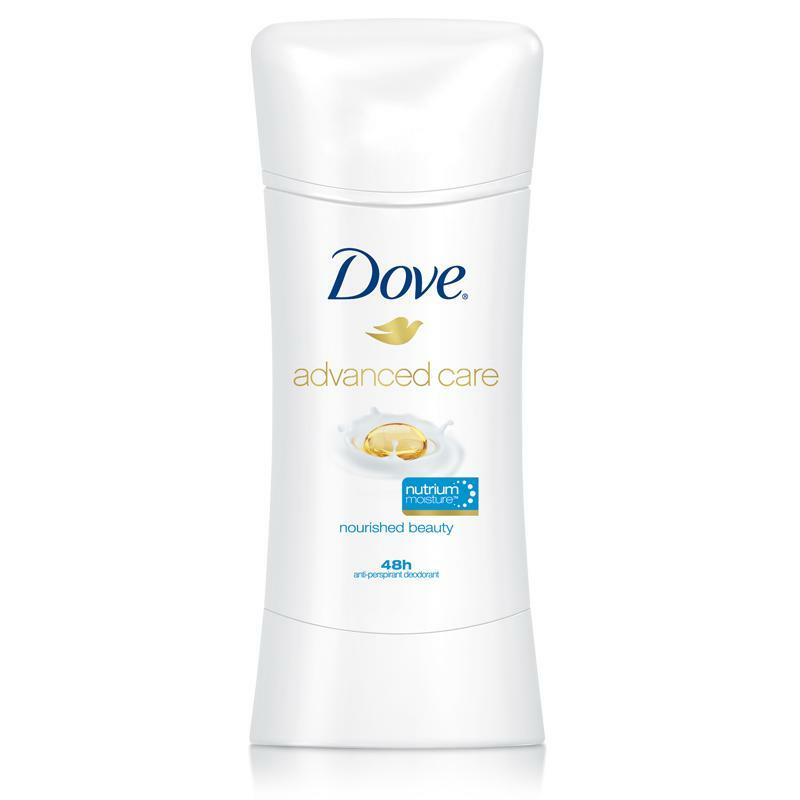 I always vary the scents and formulas that I purchase, but it is always Dove! I feel that deoderant is just one of those staple items that you are loyal to. It works. It works well. Plus, I feel that the formula is gentle and soothing to the skin. Have you tried this miracle product? I am not even exaggerating!!! Pixi Beauty has not only fabulous and affordable makeup (available at Target), but also they have an amazing Skintreats skincare line! Pixi Skintreats Glow Tonic was probably the very first Pixi skincare item that I ever tried years ago...and it has remained in my skincare rotation ever since. My skin just loves glycolic acid toners and this is amongst the best that I have tried. It works effectively. Yet, it does not irriate. I just swipe a little onto my skin with a cotton round after cleansing a few times a week. I feel that this helps keep my skin cleared and exfoliated! Try this product! You won't be sorry!!! Are you guys getting tired of me raving about this sunscreen....because I can't stop! lol! I know that I keep mentioning it. It is because it is a true favorite and I literally use this product almost every single day (i rotate it with a facial sunscreen that contains retinol). It contains my "magical" sunscreen combo: Titanium Dioxide and Zinc Oxide. Those seem to be the two sunscreen ingredients that agree with my skin the most. This has a SPF of 25 and I just love the finish of this sunscreen. It is not overly dewy. So, it just leaves my skin with the perfect prep for makeup. Plus, it has a slight tint to off-set the whiteness of the Zinc Oxide. I find that this tint gives it a skin-perfecting ability. Plus, this sunscreen never breaks me out. 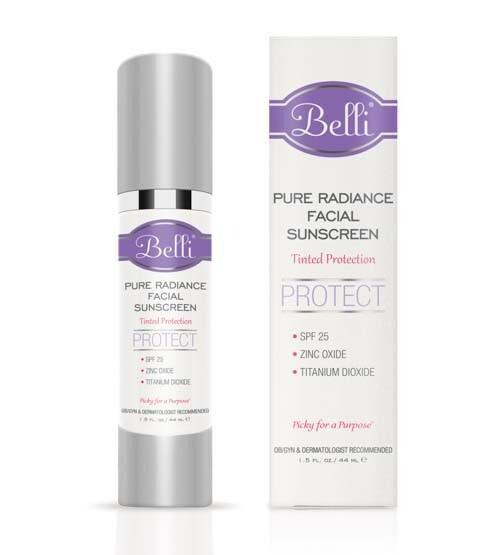 Belli is a line formulated to be extra gentle and safe for Pregnancy and Nursing. I discovered this brand while pregnant with my fist child. Well, she is now 5 and I still am using this line. So, it is great for pregnancy and far beyond! When I was pregnant and nursing, I used this entire skincare line as I knew it was super safe for the baby! I am religious about sunscreen. My Dad has constant issues with basal cell carcinomas and I lost a dear friend to melanoma. Needless to say, I wear sunscreen every day. I know so many of us are diligent with sunscreen on our faces and arms...however, our neck and check is an often neglected area! I use this cream literally every single day! 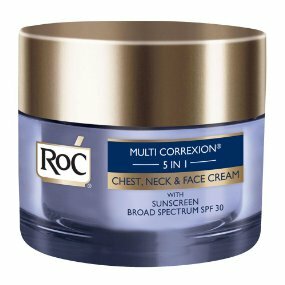 After my morning facial skincare routine is complete, I apply this RoC cream to my neck and chest area. I like the confidence of knowing that this area is protected every single day. I do have some freckles in this area as I used to neglect this area until a few years ago when I discovered this product as a RoC Ambassador. So, I am hoping that over time, those freckles and discolorations will fade. Plus, I love that this cream is not just a SPF cream, it is also packed with RoC's anti-aging ingredients! This moisturizer is a-ma-zing!!! Seriously! I adore it! I am probably on my 5th tube of it. I use it a few times a week every single week (about every other night I use it). I rotate my night time treatment creams. 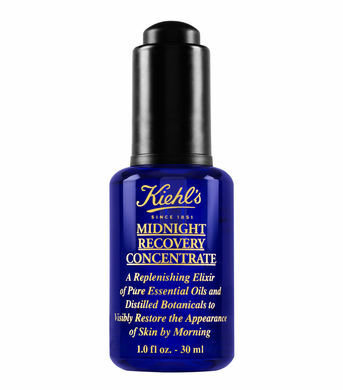 So, on nights I am not using this, I use another retinol cream (or if I do a peel or facial mask, I just use a non-treatment moisturizer). This moisturizer just has such a powerhouse combo of ingredients that works magic on my skin: it keeps it clear while also having anti-aging ingredinets: Retinol and Beta Hydrozy Acid. Kate Somerville is at the top of my list as far as favorite high-end skincare lines! 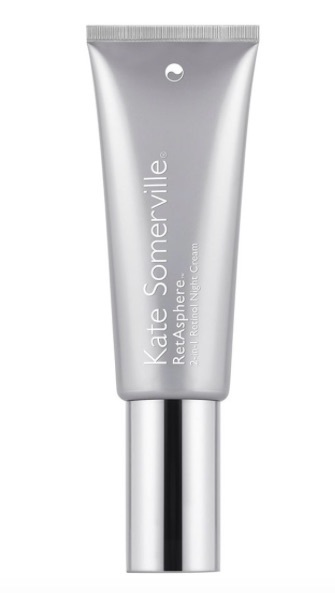 This is probably one of my very favorite products from the Kate Somerville line: RetAsphere. This is an amazing Retinol cream. If you have very sensitive skin, and you have been hesitant to try Retinol, then this is the product for you! I have never had any sensitivity problems from using it. It is a high-power Retinol, yet the formulation makes it very gentle (they use a "smart release" carrier system that gently infuses the Retinol into your skin and thus decreases irritation). Besides being a powerful retinol, the formula is also very hydrating and plumping. There is no question that continued use of this Retinol over time has increased the look and feel of my skin and diminished signs of aging! I am probably on my 5th or 6th tube of this as I have used this product on-and-off for years. It is almost always in my skincare rotation and is a product that I have come back to over and over. 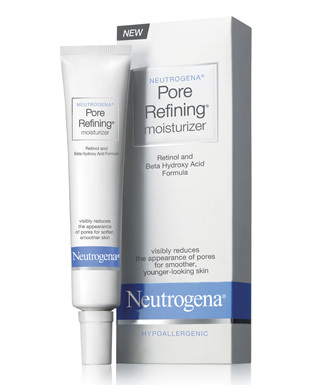 When it comes to pimple prevention, I always turn to Neutrogena products. Perhaps it is because Neutrogena is the brand that my Dermatologist introduced me to years ago when I was a teenager struggling with breakouts. Well, that was over 20 years ago (sigh! I am feeling old! 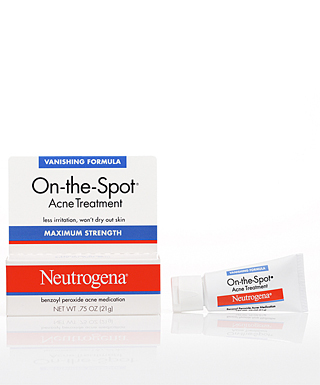 )...and I still turn to Neutrogena for breakouts! Since I tend to break out in my t-zone, I apply this product every day around my nose and on my chin and occastionally along my hairline on my forehead. It keeps breakouts at bay and treats existing breakouts beautifully! You can't go wrong with this product for breakouts! It is basic; yet, it is effective! This is my favorite eye cream. Period. I use it once a day and sometimes twice a day. When I am not using it, I use either whatever eye cream I am currently testing for blog review or I use a moisturizing non-retinol eye cream. I am basically trying to get the maximum amount of Retinol into my skin (do you see a pattern here with my products? I love Retinol!!! It is effective and the most researched and proven anti-aging skincare ingredient!!!). This eye cream just works!!! 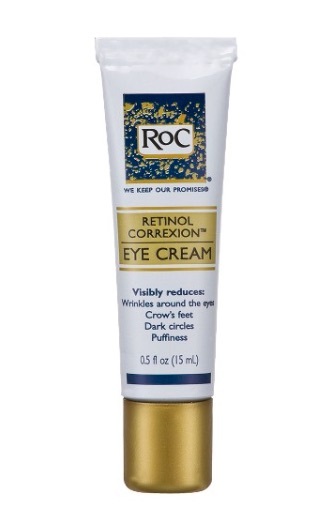 Continued Retinol use (from this eye cream) has absolutely prevented signs of aging in my eye area. I think I will never be without this eye cream. I have used it for years and I absolutely love it and give it my highest recommendation. Besides the hydrating and anti-aging benefits, it provides a perfect base in the eye area for my concealer and eye makeup! I know I just posted about this recently in my Favorite Oils post. Well, this product deserves even more praise!!! I have used this off and on for years and absolutely love it. It is one of my top favorite oils and it is an oil that I have repurchased many times. I literally use this every night as my final step in my skincare routine. I just drop two drops onto my hands and pat it onto my skin. The scent is super relaxing for night time use. It really does give my skin a glow and moisture boost. Seriously, if I forget this step, my skin just doesn't have the same radiaince the following morning. This oil is amazing!!! I know this is not technically a "product"...but, it is a skincare staple of mine that I have repurchased over and over ever since I was a teenager! I adore Venus razors!!! As I mentioned earlier, I shave every single day. So, I need a razor that I can really trust. This one never nicks my legs...like, never! The blades are flexible and the shape and easy pivot of the head and the additional pivot ball on the handle allows it to move effortlessly across all the planes of your legs without causing any nicks or cuts while giving you a close and smooth shave! 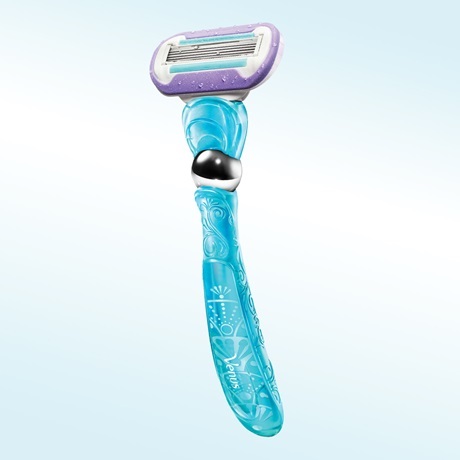 Hands-down, this is my favorite razor! So, there you have it, ya'll! 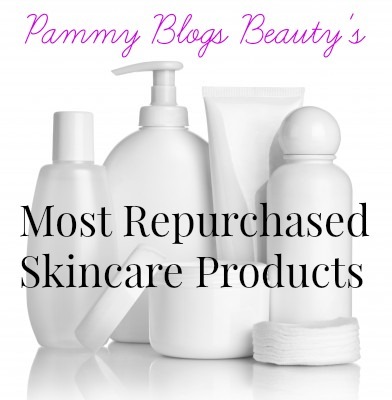 Those are my most repurchased skincare products! I would love to hear about some of yours. I've heard good things about the Pixi toner. Someday I'll try it. I'm glad Shoppers Drug Mart is now stocking their products after Target closed its stores in Canada. 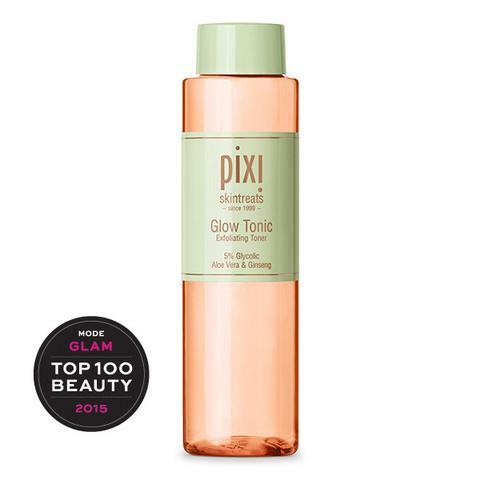 The Pixi Glow Tonic is such a great product!